The 2017 Range Rover offers all the capability of an SUV with a variety of innovative features and comfortable luxury. 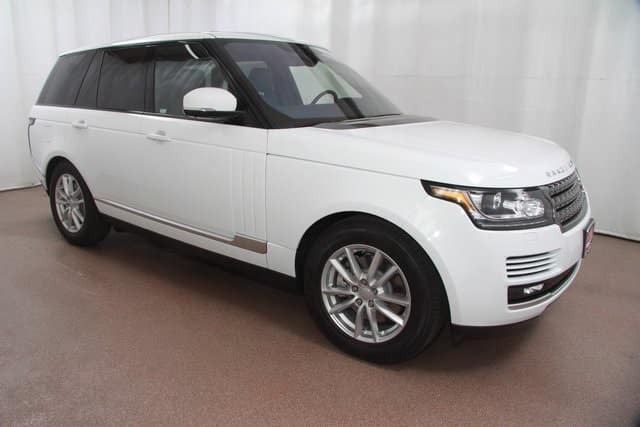 We have several Range Rovers to choose from including the one pictured above. It is powered by a 3.0L V6 Turbocharged Diesel engine. The interior will surround you with comfort and technology. From the 10-way heated front seats with electric lumbar and cushion tilt to the configurable interior mood lighting, there will be no denying the luxury. You will also enjoy a navigation system, heated steering wheel, and many storage spaces and 12V DC power outlets. This vehicle also has the sliding panoramic roof. What a wonderful way to enjoy the beautiful Colorado sky! Visit Land Rover Colorado Springs today to learn more about this amazing SUV. Take a test drive and try out the many exciting features. With just one drive, you will be able to easily see how great each of your drives will be when you are in a Range Rover!